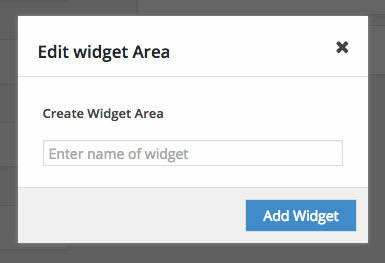 To create new widget, you need to go to Appereance » Widgets. Beside the page title, there is button / link “Add or remove widget area”, hit it. You will see “Edit widget Area” box overlay comes up. To add new custom sidebar, fill name of the sidebar and hit “Add Widget”. You also able to remove custom widget list that you need.